I probably say every year that I have the best Thanksgiving. And every year it’s true. This year was most definitely the best. In part because I spent it with my very favorite people. And in part because as everyone said, this Butterball turkey was the BEST yet. 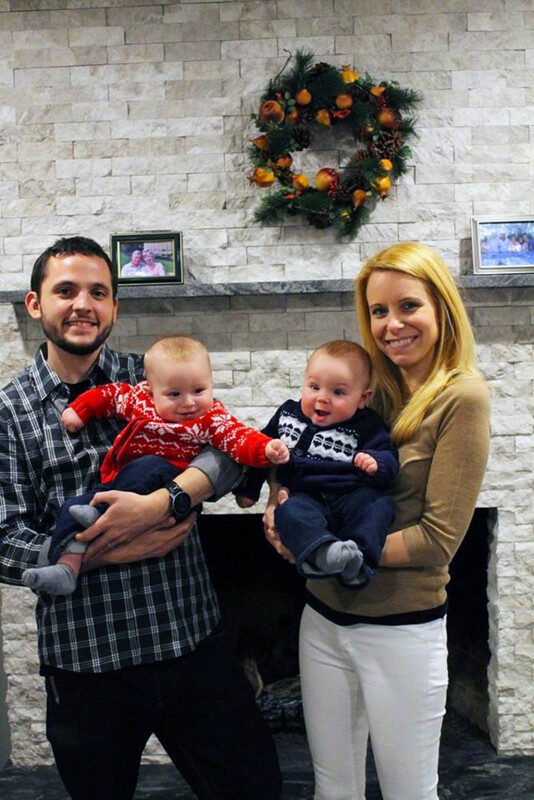 Oh, and huge part because this was my first Thanksgiving with my perfect little twin nephews. It’s crazy how much I have to be thankful for this year. As usual, we spent Thanksgiving at my parents’ house with my sister, her husband, and my lifelong neighbors Joan and Jim. 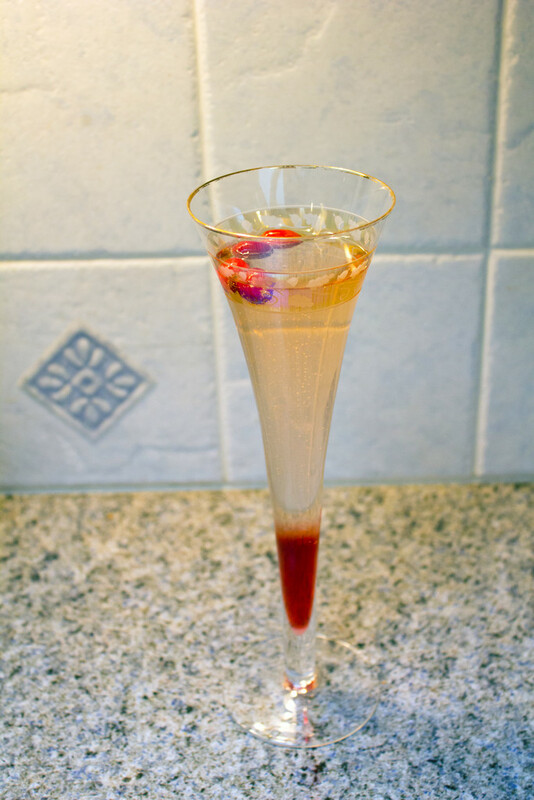 I was put on cocktail duty and made a fun pomegranate cranberry champagne cocktail. 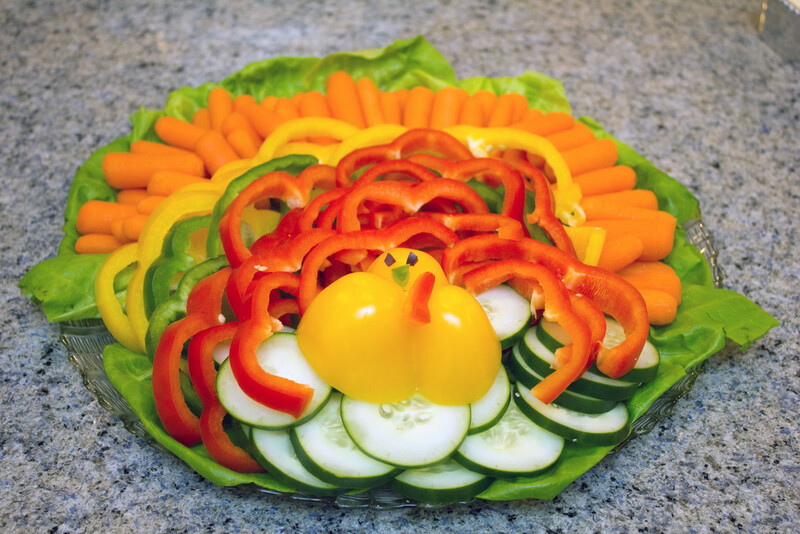 Along with the appetizer… A ridiculously fun and seasonally appropriate vegetable platter (Pinterest inspired!). 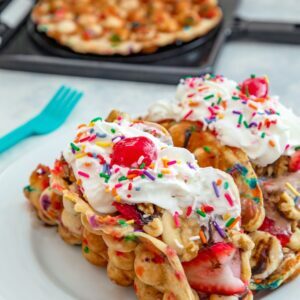 I figured it was both fun and made sense to go with something a little on the lighter side before a huge meal… Though I did served it with a whipped feta dip. The turkey totally got Henry-bombed! As always, my mom’s dining room table looked gorgeous. 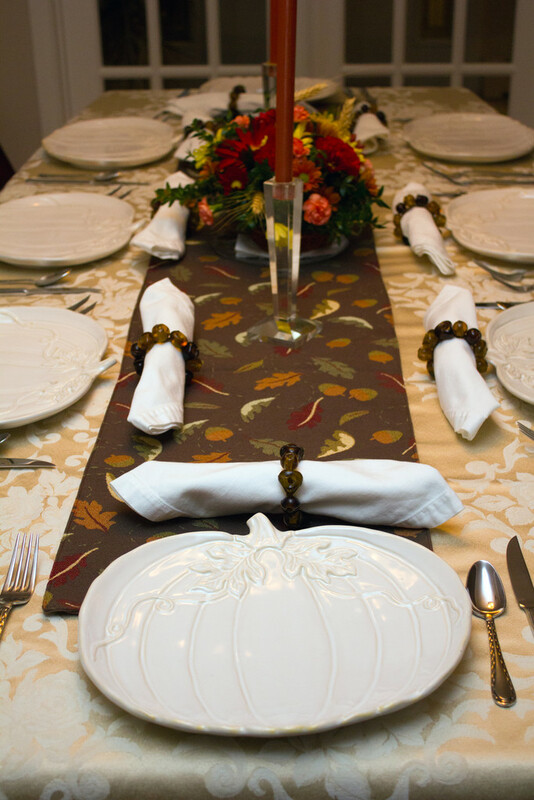 I’m a huge fan of her pumpkin plates and we use them every year. And then came the food. Like I mentioned, the Butterball turkey was seriously the best yet. My dad did an amazing job cooking and carving it. 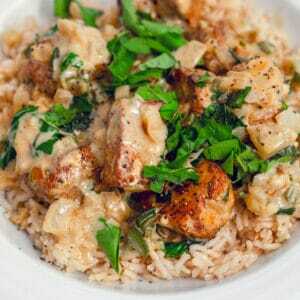 He usually brines our turkey, but with Butterballs you don’t have to. This was the first year he didn’t and we couldn’t get over how good it was. Chris was thrilled to get a leg. My sister always makes the cranberry sauce. I could legit eat this entire bowl. 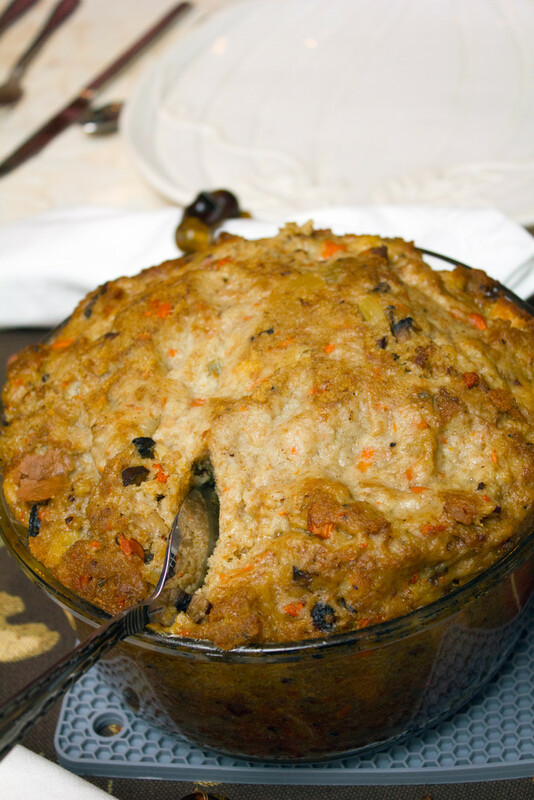 I may have mentioned a time or two that my mom’s stuffing is the best in the world. I mean it. 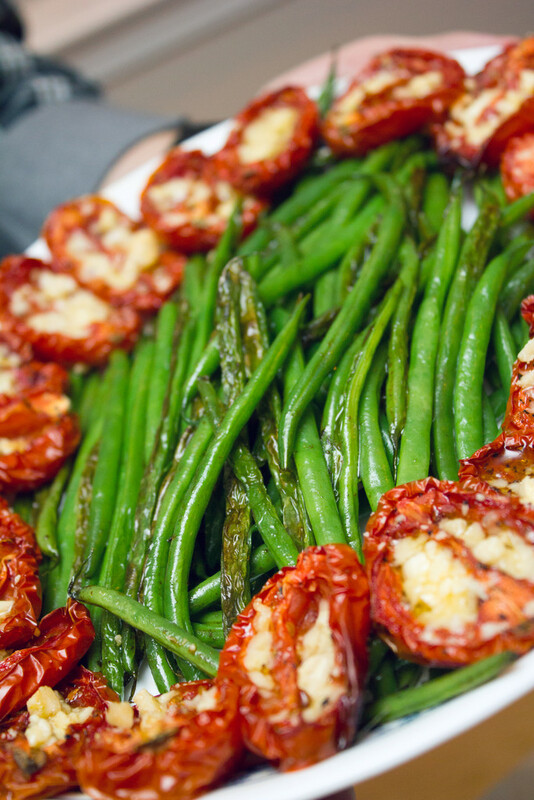 This year, the green beans were surrounded by amazing parmesan tomatoes. 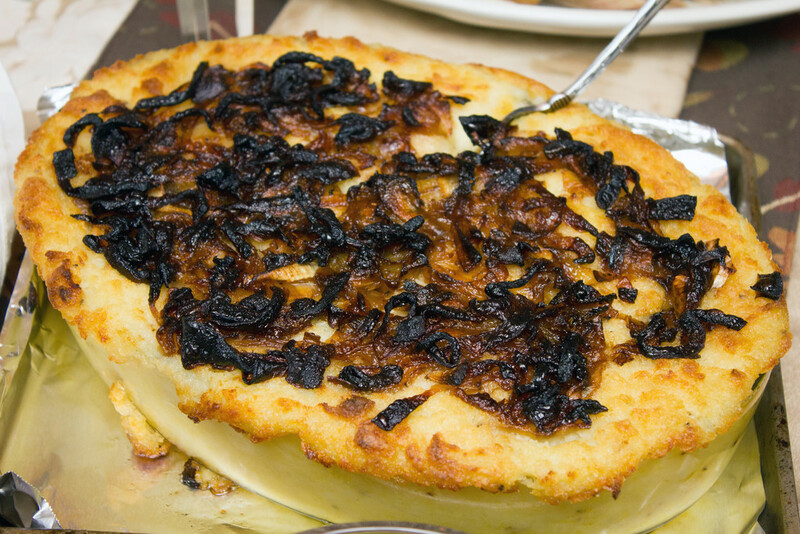 And the mashed potatoes with topped with lots of crispy caramelized onions. Once upon a time, I hated sweet potatoes. What was wrong with me? 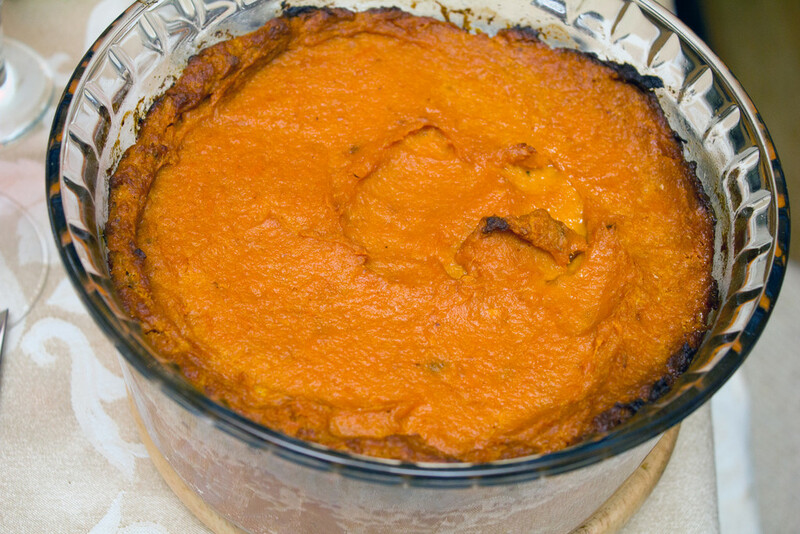 This sweet potato soufflé is to die for! Plate number one. Of many. Too many. We were almost too stuffed for dessert. But there was pie and my sister made the most amazing pumpkin turtle cheesecake. We all ate a slice because we couldn’t resist and it was totally worth it. I didn’t take nearly enough people photos this year… But we did get quite a few family shots with the little babes. They’re at such a fun age right now and so lovable and happy. I’m sad every year when Thanksgiving is over because it’s my favorite holiday in life. But it also kicks off a month of some seriously fun holiday celebrating, so I can’t be too mad! 2014 was another fabulous year of working with Butterball and I hope you had a chance to read my posts on their blog. 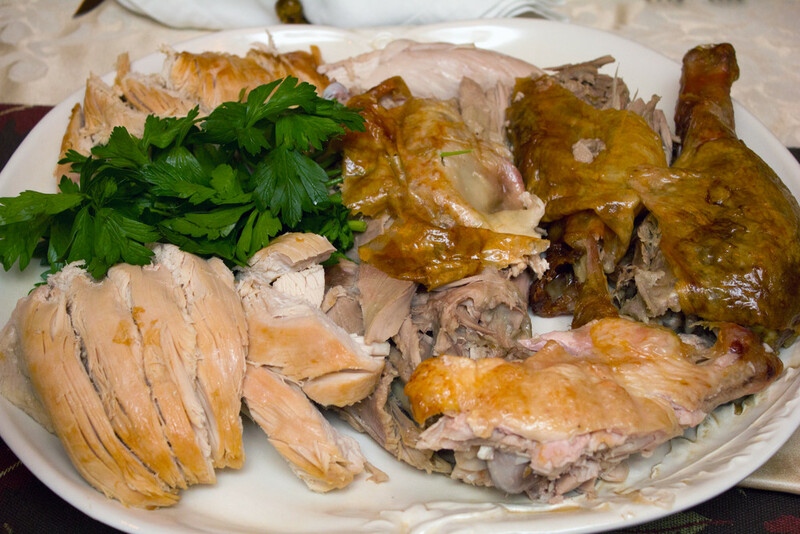 If you’re a turkey lover, too, check out my post about being a Turketarian all year round. I’ve got two words: turkey bacon. OK, two more: turkey burgers. Just a couple more: ground turkey. And OK: turkey sausage. 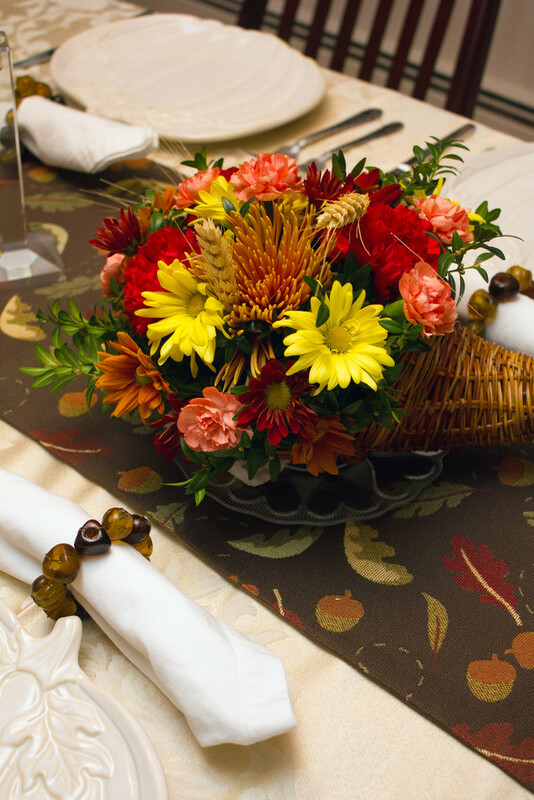 What was your favorite thing about Thanksgiving this year? Full disclosure: I wrote this post in partnership with Butterball, but as always, all opinions are 100% my own! 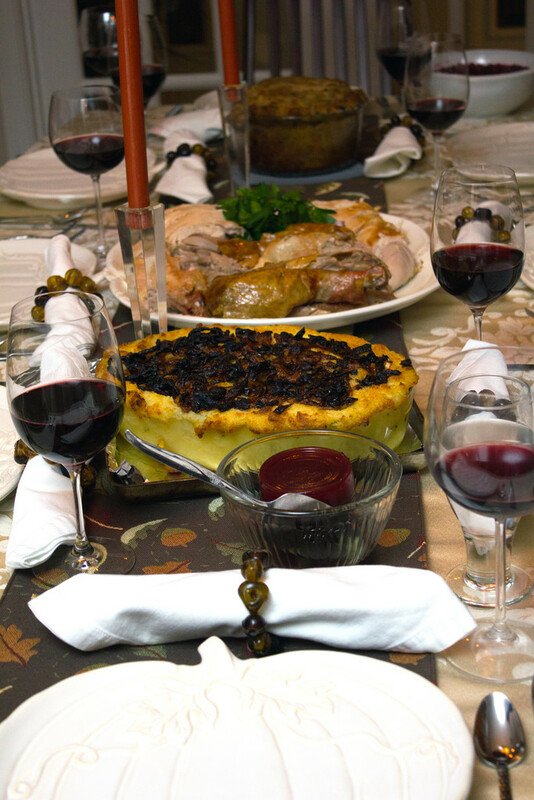 15 Responses to "Thanksgiving 2014"
It looks like you had a lovely Thanksgiving! 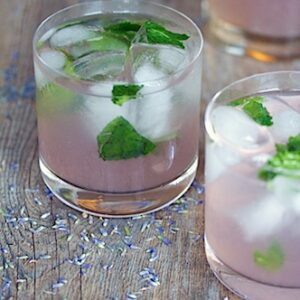 Your cocktail looks so beautiful. 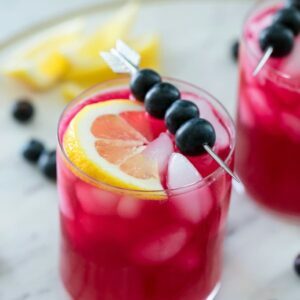 There is just something wonderful about champagne cocktails around the holidays. Also – those 2 little cuties!! Ah so much adorableness! What a feast! Everything looks so delicious. I love the turkey made out of veggies. What a nice table setting you had and a lovely meal! 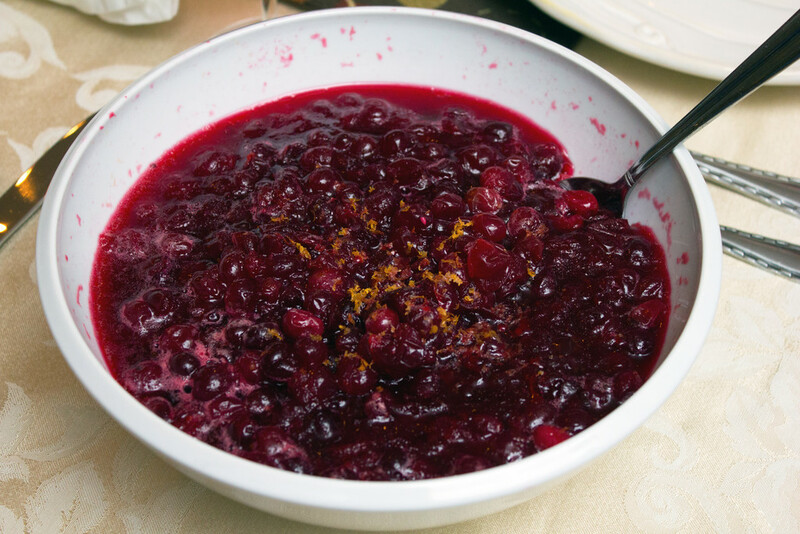 The cranberry sauce does look yummy. Awe, what sweet pictures! I always love seeing wrap ups, and yours looks like you had such a fantastic time! 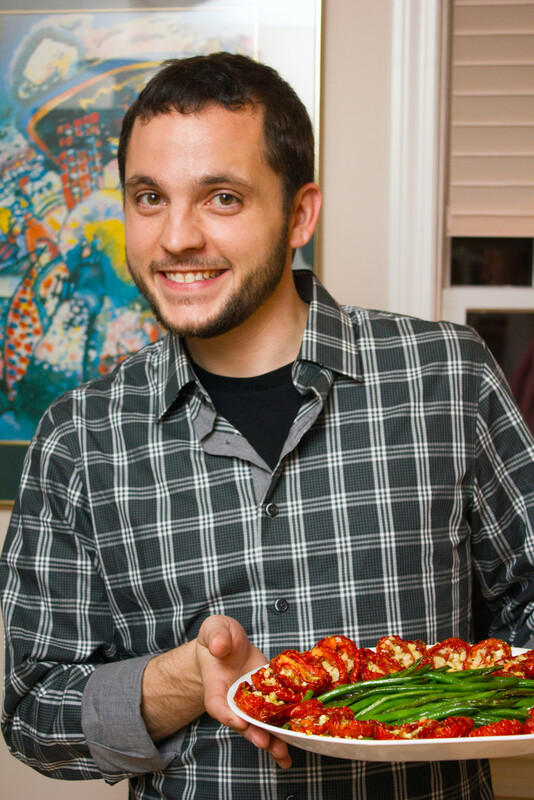 Everything looks so super great starting from the great food and your amazing family!! Glad you enjoyed thanksgiving! Your nephews are adorable. The table was gorgeous. The food was over the top. Yes, it truly was wonderful!!!! Mine was extra special this year too! Looks like a fantastic Thanksgiving feast! Your Thanksgiving photos are fabulous, Sues. 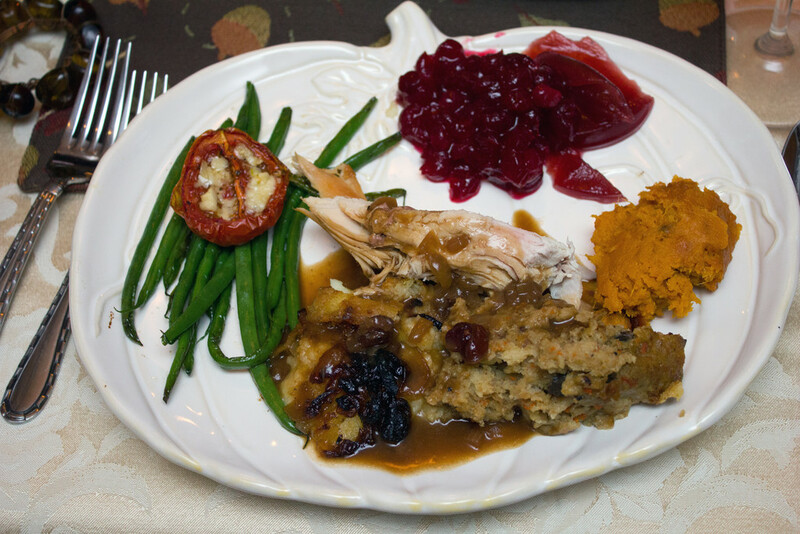 Love the mashed potatoes and confess I could eat both those and the sweet potatoes and be a happy camper, Although a side of that stuffing and cranberry sauce would be fine, too. What a nice Thanksgiving. I spend the day with friends this year and it made me very grateful to have such wonderful friends. And of course all the delicious food and wine was certainly appreciated! It sounds like it was an awesome Thanksgiving! And I love that bell pepper turkey! So cute! Beautiful day! 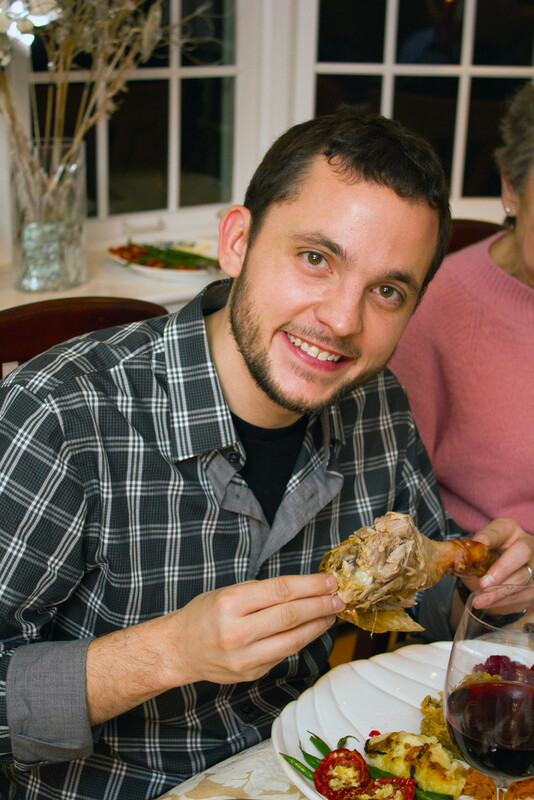 Everything about your thanksgiving lols so happy and fun! 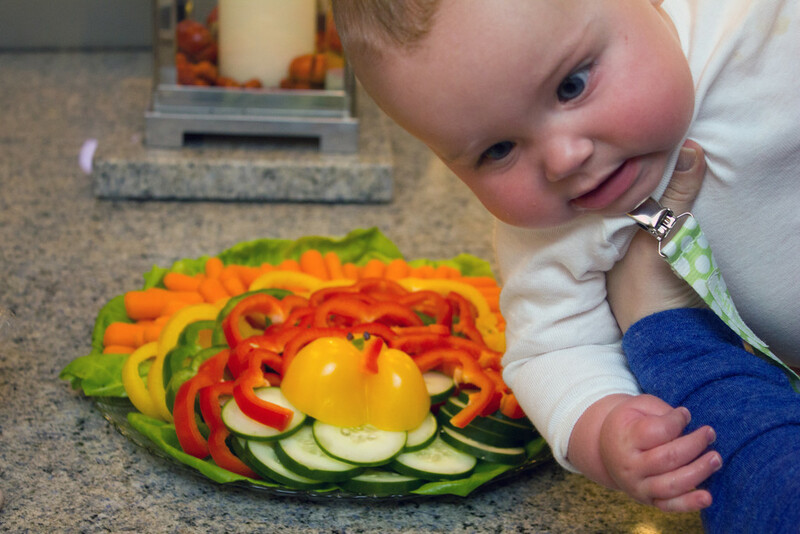 The veggie platter is crazy adorable, only to be trumped by those nephews of yours! How sweet are they?!?! Everything looks so delicious!